REQUIRES 120 VOLT 20 AMP DEDICATED CIRCUT ! **MIN SUPPLY PRESSURE PROPANE 10 PSI, NATURAL GAS 8" WC** WT 200 LBS. 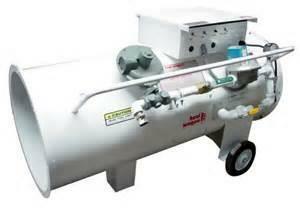 * Please call us for any questions on our heater 750 000 btu lp/ng rentals in Cincinnati Ohio.